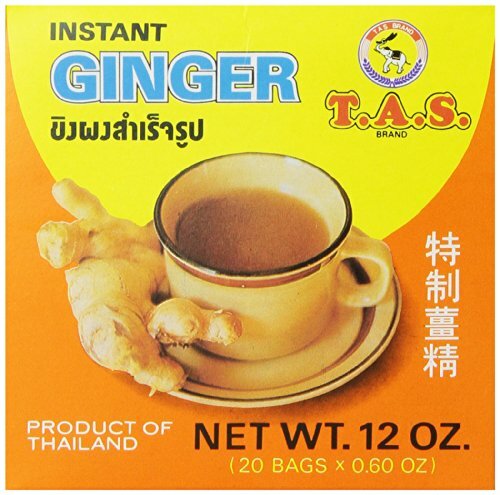 Instant Ginger Powder. 20 Sachet Bags per box. 12 ounces total. If you have any questions about this product by T.A.S, contact us by completing and submitting the form below. If you are looking for a specif part number, please include it with your message. Paradise Mountain, Rare Thailand Medium Roast, Certified Organic, Fair Trade, Whole Bean Coffee 16 oz. George S. Chen Imports Thai Elephant Wood Like Design Figurine, 6"